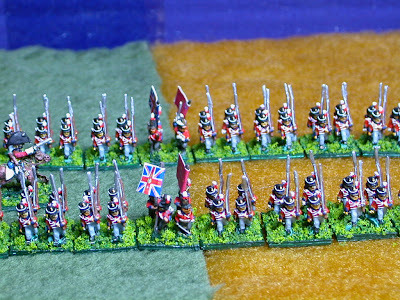 Finally finished another couple of 6mm Napoleonic units for my Waterloo project. 1st Brigade of the 1st Division of British troops, 2 x 1000 strong battalions of British Guards. I did cheat with these a little. 90% of the figure was painted by a commission painter. I then based them and painted the unit facings, collars and cuffs and then all the plumes. Blue on gold facings with white on red plumes. 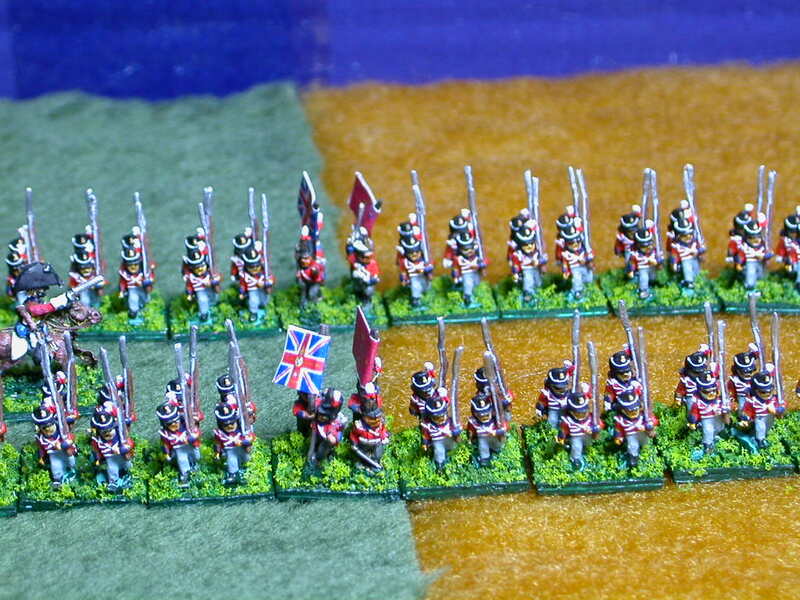 Grenadier company has full white plumes and light company has green plumes. 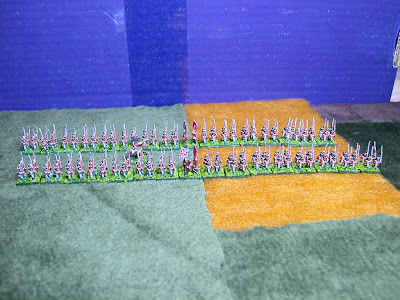 Using the 15mm Empire basing, meant both battalions of 1000 men equates to 16 figures which when doubled out and double width makes 16 stands of 60 x 6mm figures. Very nice long units. Macro is great but it really shows my baaaad painting.